Charlene LePane, DO, MSPH, FACG, FACOI, FASGE, is a fellowship-trained, advanced endoscopic gastroenterologist. An honors graduate of Auburn University, she earned a Master of Science in Public Health with a major in epidemiology at the University of Alabama, where she also graduated with high honors, and went on to earn her medical degree at Kansas City University of Medicine and Biosciences. Dr. LePane completed her residency in internal medicine at Mount Sinai Medical Center/Jackson Memorial Hospital in Miami, where she received the prestigious Howard Cane Resident of the Year award and served as Chief Resident, then completed a fellowship in advanced gastroenterology and served as Chief Fellow. 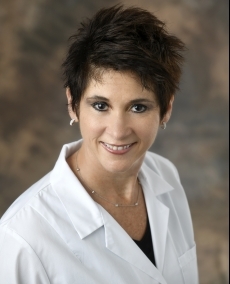 Her many honors include her nomination for Orlando's Best 2015, and receipt of Orlando's Best & Top Doctors of 2016 recognition. She is a Fellow of the American College of Gastroenterology, the American College of Osteopathic Internists, and American Society of Gastrointestinal Endoscopy.